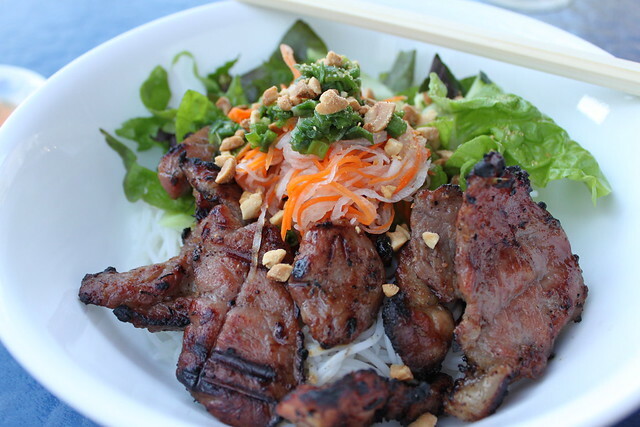 On a hot summer evening, there’s nothing more enjoyable than eating a nice bowl of Vermicelli with Grilled Pork. 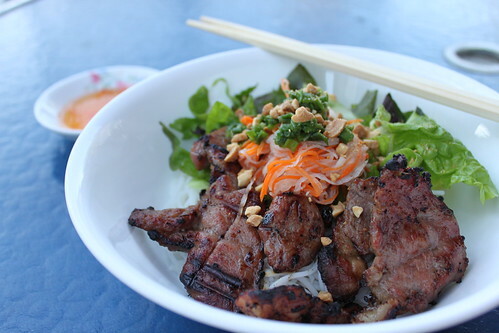 The Vermicelli Noodles with the Red Lettuce, Cucumber, and Mint is fresh, cool and light while the grilled pork offers your palate a nice balance of salty and sweet. I started watching a new show on the Cooking Channel called Luke’s Vietnam and in his second episode he prepared this dish and it looked super easy and delicious. As my mouth was watering, I had one of those moments were I was like damn, I got to make this. My brother and I took his recipe and modified it a little bit and voila..we have some restaurant quality grilled pork in our own home! 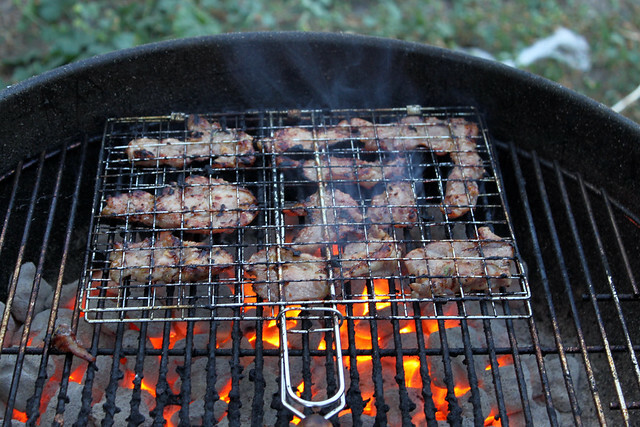 I’ve ordered Grilled Pork at restaurants before and always wondered what that sweet flavor in the meat was. After watching the episode, I realized that it is HONEY! Honey makes such a difference in this dish and gives it a nice caramelized color and taste. 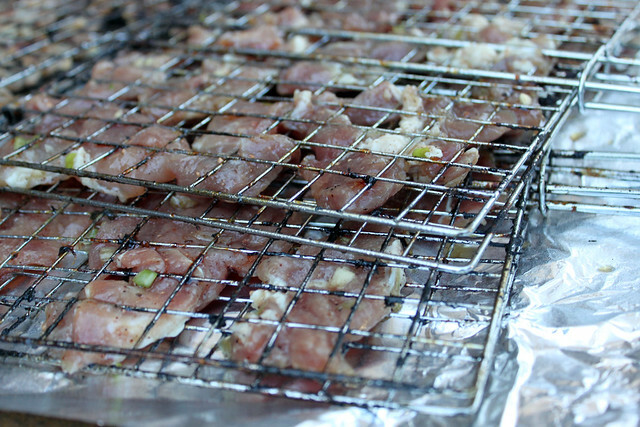 The great thing about this recipe is you can substitute the pork for any meat you like. I think this recipe would work well on fish such as Salmon and Halibut as well (maybe reduce the marinade time). If you don’t have Vermicelli Noodles available, you can always eat it with Bread or Rice. It works equally well. 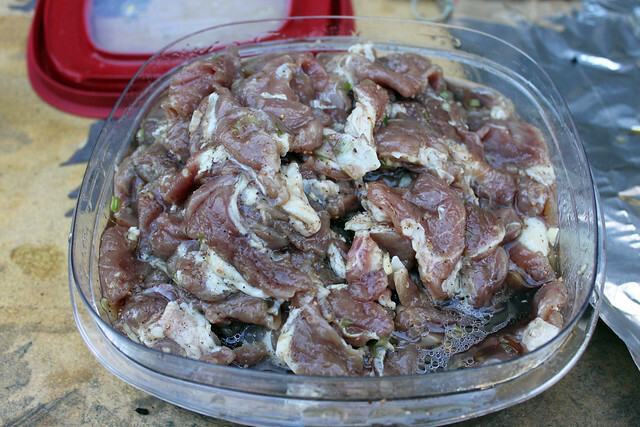 Slice thin slices of pork and add into the marinade.